DTA-2195 - 12G-SDI I/O Adapter with HDMI 2.0 Monitor Output | AdvancedDigital Inc.
DTA-2195-SLP – 12G-SDI input/output with HDMI for PCIe with StreamXpert Lite and StreamXpress player software. DTA-2195-SXP – 12G-SDI input/output with HDMI for PCIe with StreamXpert 2.0 stream analyzer and StreamXpress player. 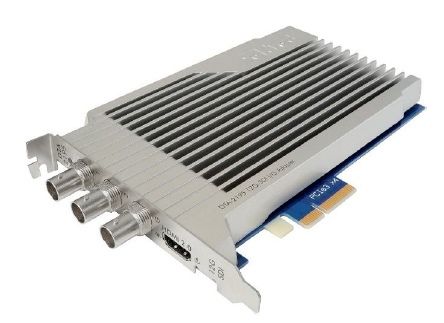 DTA-2195-SY-SXP – 12G-SDI input/output with HDMI for PCIe with SdEye and StreamXpert 2.0 stream analyzer and StreamXpress player. DTA-2195-VR-SY-SXP – 12G-SDI input/output with HDMI for PCIe with VF-Rec stream recorder, SdEye and StreamXpert 2.0 stream analyzer and StreamXpress player.